Keten Hand Grip compatible with Nintendo New 2DS XL Console, Anti-Slip Controller Grip with Stand for NEW 2DS XL/LL 2017 (Black) . 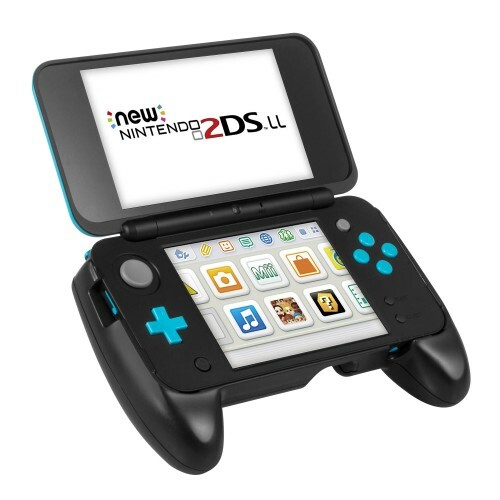 [Perfect Match]- Specially created for Nintendo New 2DS XL Console. A better hand grip can provide a better game experience. 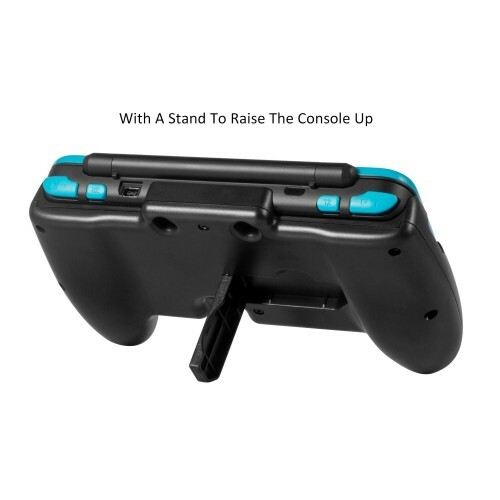 [Nice Ergonomic Design]- With the thin console, a comfortable hand grip will helps a lot when you need to pull do anything more than basic left/right/up/down button presses on games. [Easy installation]- Convenient to insert and easy to remove. The console can be safely inserted when you successfully install it. [Release Hands]- Wit the kickstand, you can just set it down on the table and play games. It is at the perfect angle for viewing & playing. Of course, this stand can be folded when you don’t need to use it. [What you get]- 1* Nintendo New 2DS XL Hand Grip. 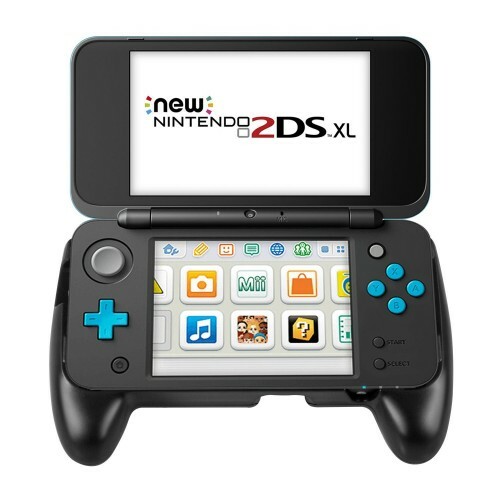 (Please kindly note that the New 2DS XL console is not included) Guarantee & Warranty: Keten offers 45 days money back and Life-time guarantee. Please feel free to contact us at any time if you have questions. We will help you to solve your problem within 24 hours. Worry about the slip when you playing games? Try this new-designed hand grip. Forget the Unpleasant, Just Enjoy the Games! Easy to install and remove. Complete access to all control buttons without removing the case. 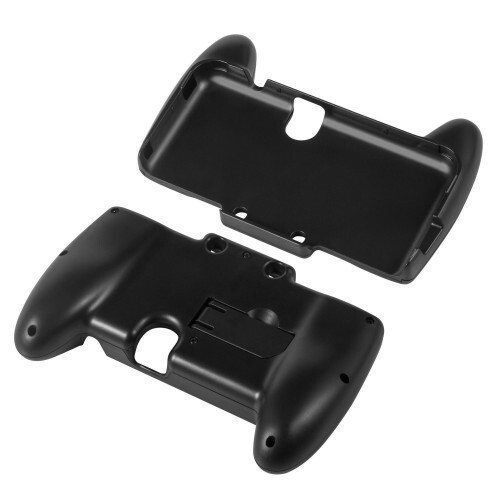 This case adopts human ergonomic design, comfortable to grip. Elastic mold perfectly fits. Non-slip surface provides improved grip, which makes you enjoy a better gaming experience. This grip is made of high-quality plastic material, which is light-weight and impact resistant. 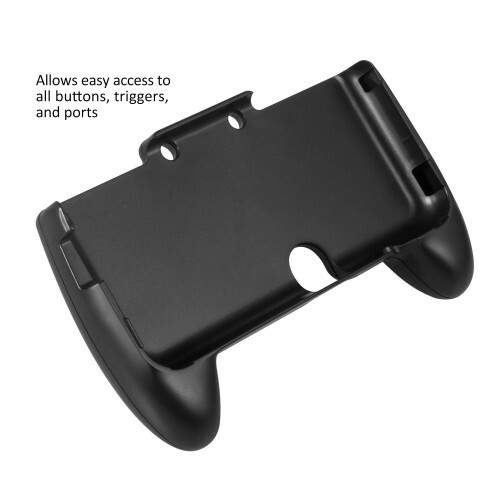 Precise cutouts provides easy access to all buttons, triggers, and ports and keeps the camera safe from damage when the console is put on the table. With the grip, you can also connect your headphone port. You can play your games whenever and wherever you are.